Everyone is healing from a past hurt or loss, but it doesn’t mean they are broken. Past struggles, traumas or health issues don’t have to be a life sentence. Jane believes it is possible to be free from the shackles that limit joy and fulfillment. While it is widely accepted that mindfulness is necessary to shape the body, she asserts that the body is one of the most powerful alchemic tools for shaping the mind. She also believes that personal health is a political matter, extending beyond our own flesh and bones and into the way we build community, engage in culture and express our highest self in relationship with others. Jane has been a health practitioner for over two decades combining numerous movement and somatic emotional modalities along with an understanding of the impact traumatic stress has on the whole person. As the founder of Urbanfitt, she has helped more than 1000 clients improve emotional and nervous system regulation, positively shift neuroplasticity and release somatized stress and trauma. 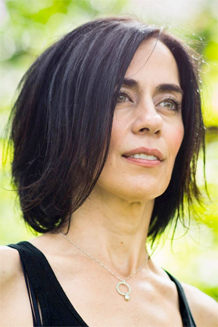 An experienced and illuminating speaker, widely consulted media expert and internationally recognized author, she offers a professional certification program, Movement for Trauma.